An ocean scientist says climate change is altering the chemistry of the oceans, which makes food webs and fishery management much more unpredictable. An ocean scientist says climate change is making it increasingly harder for governments to manage their fisheries. Brett Favaro, a research scientist at Memorial University's of Newfoundland's Fisheries and Marine Institute, has written a new book called The Carbon Code. It's been described as a how-to guide to help the average person do their part to lessen the effects of climate change. 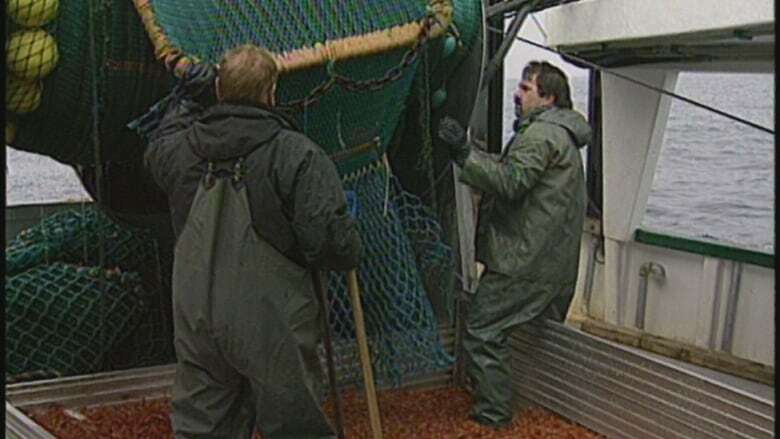 Through his research on the Newfoundland and Labrador fishery, Favaro said he found a "sleeping giant" when it comes to climate change that he feels isn't getting enough attention. "A lot of people don't realize that the impacts of climate change on the ocean are going to be as or more severe than the impacts of climate change that we're going to experience on land," he told the St. John's Morning Show. "For a province like ours that relies on the ocean, this is kind of a scary thing." In The Carbon Code, Favaro describes what he calls the four horsemen of the ocean apocalypse: rising temperatures, increased depth, elevated acidity and reduced oxygen. He said those four things working together can completely change the chemistry of the ocean, which spells trouble for the food web that exists for the animals that live there. Favaro said even small changes to those food webs can make the fishery very unpredictable and even harder to build policy around. "You can manage the fisheries as well as you like but if the whole ocean changes, then you have a serious problem," he said. "Fish are going to move, and food webs are going to change and so we have to be extra careful with the way we manage our fisheries." While climate change's effect on the oceans is what keeps him awake at night, Favaro said what gets him out of bed every morning is the fact that there are good things happening with regard to changing how people pollute. Favaro hopes to help people take steps towards reducing their own carbon footprint and then showing them how they can help others do the same. A big part of that is getting people who are skeptical about climate change to embrace climate-friendly policies for other reasons. For example, he said a mayoral candidate may deny that climate change is real, but he said that same candidate would no doubt support better public transit systems and more walking trails. He said finding that common ground is what can move policy in the right direction. "The good news is, things that are good for climate tend to be things that are good for you, for your city and for your economy as well," he said. "I want to get people off the couch and into the fight."